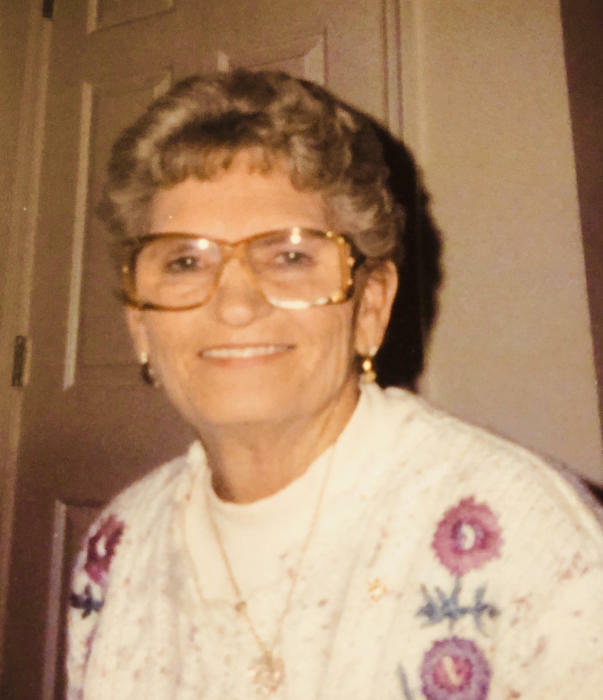 Wanda Lou Benson, 86 passed away peacefully April 6, 2019 surrounded by family. Funeral Services will be 10 am, Tuesday, April 9, at Grace Gardens Funeral Home. A visitation with the family will begin at 9am, prior to the service. Wanda was born January 20, 1933 in Merkel, Tx to Avanell and Burnet Wesley Strother. She had 2 brothers and 5 sisters. She retired as a Plant Manager of a sewing factory in Meridian, TX. She continued to work by babysitting and cleaning houses for many years. She took great pride in working in her yard and on her land in Bellmead, Tx. She was very loving and funny, always made everyone laugh. She loved the Lord, Texas Rangers, Baylor womens basketball and trying her luck at the casinos. Wanda was preceded in death by her husband of 28 years, Jack H. Flick, her husband of 40 years, Durward (Buddy) W. Benson, daughter Mollie Crelia, and niece Sue Parsons. Wanda is survived by daughter Jackie Coryell and husband John, grandchildren Michelle, Michael, Myron, John and Jarret; great grandchildren Justin, Laken, Dillion, James, Madison, Jeremiah, Jace, Jack, Malichia, Jeremiah James, Corbin, Zoe and Grace; great- great grandchildren Gavin, Avanell Rose, Reise and Georgia.